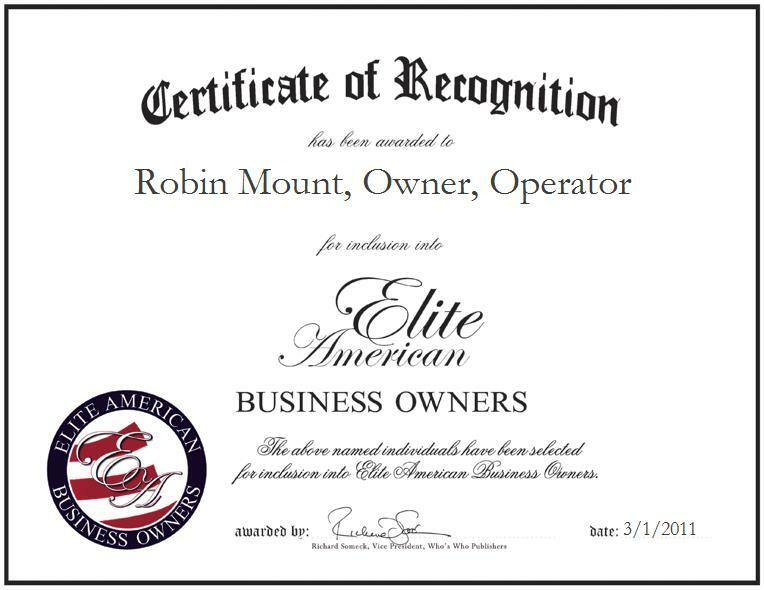 Huntington Beach, CA, March 1, 2011, Robin Hunt, owner and operator of Century Transportation, has been recognized by Elite American Business Owners for dedication, achievements and leadership in event coordination and transportation services. With 15 years of professional experience, Ms. Mount to her colleagues and expertise in management. She has owned and operated Century Transportation with her husband, Mike, for the past five years. Drawing upon skills she gained from previous positions in event coordination, she organizes shows and oversees exhibit transportation services. Ms. Mount feels that her company’s boutique size is what separates her from other businesses. She finds that by taking a hands-on approach and interacting directly with her clients, Century Transportation provides that personal touch which is vacant in today’s corporate world. Ms. Mount is a graduate of California State University at Long Beach, holding a bachelor’s degree in liberal studies. In her leisure time, she enjoys cooking, cake decorating, bicycling and skating. For the future, Ms. Mount intends to expand her business and pursue her dreams of opening another business. For more information on Century Transportation, visit http://www.centurytrans.com.